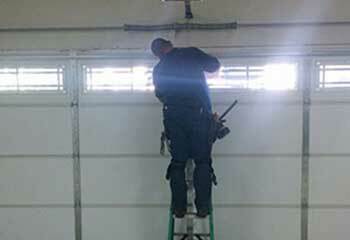 On this page you can find examples of the latest work our garage door technicians completed. As you can see, we can help you with all sorts of projects, from the installation of a new opener to the replacement of a broken spring. 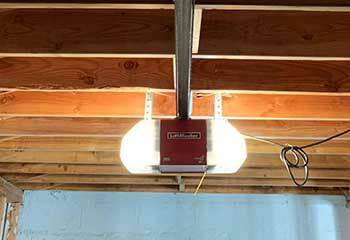 Customer Issue: The customer’s garage door opened all on its own, and wouldn’t close. Our Solution: After confirming that the sensors weren’t 'seeing eye to eye', the team loosened and adjusted them, leveling them carefully before reattaching them in place; one had to be taken off altogether and raised about two centimeters. A reboot later, the door was back to normal behavior. 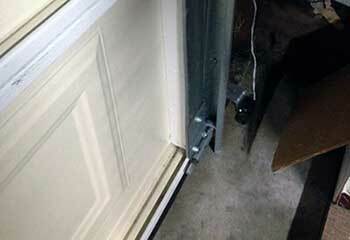 Customer Issue: The old garage door rollers needed to be replaced. 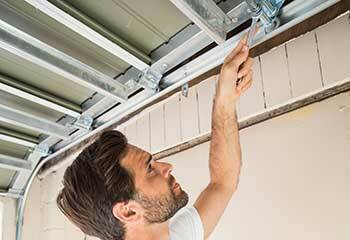 Our Solution: Our technician arrived with new nylon rollers and quickly replaced the old metal units with them. The reason for the change in material was that the customer didn't to bother with maintenance and didn't mind the shorter lifespan of the nylon units. Customer Issue: The torsion spring broke. Our Solution: We arrived at the customer's home with a replacement spring that offered increased durability, and immediately began removing the old unit and installing the new one. Before leaving, we lubricated the new spring and showed the customer how he can do it himself to help alleviate some of the wear-and-tear-causing friction. Customer Issue: Old opener no longer working as well as it used to. Our Solution: The customer already had a new model in mind; the LiftMaster WLED belt drive garage door opener, which offered increased lighting and near silent operation. We disconnected and then removed the old chain drive unit and secured the new one to the ceiling and made sure it was properly connected to the door. Afterwards, we made sure all of the new model's features were working and that the customer understood how to use them.